Com.xyz's advertiser network brings together some of the most valuable, competitive offers on the net to the very best online publishers with our cutting edge-proprietary platform. Com.xyz offers advertisers an opportunity to invigorate their marketing efforts with access to a large network built to maximize ROI. Com.xyz is the exclusive home to incredible publishers such as PersonalLoans.com, SBA.com, COM.COM, and many other valuable properties that are unmatched in their ability to deliver high quality, unique traffic to your websites. 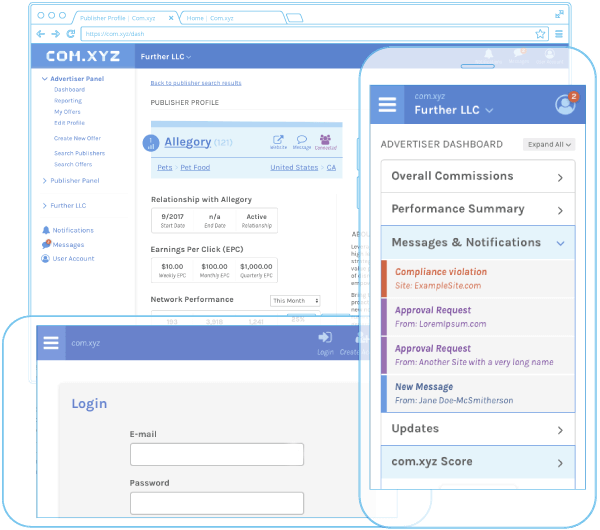 Advertisers Com.xyz will have access to skilled account managers that are available 24/7 to help create new campaigns, make adjustments to existing campaigns, or simply answer any questions advertisers may have. Our account managers are thoroughly trained to give advertisers the finest white glove service. Com.xyz’s platform is built and managed by all-stars in the field of affiliate marketing. The platform was created to fulfill everything that we feel was missing in today’s current advertising platforms. Our goal is for our advertisers to have the most success on our platform, so our management team is eager to help design and strategize with you on your campaigns to achieve the best possible result. While many networks are limited in their ability to allow various affiliate payout options, Com.xyz gives you control to market your offer in a variety of ways including Cost-Per-Action (CPA), Cost-Per-Lead (CPL), Cost-Per-Click (CPC), Cost-Per-Impression (CPM), etc. Our flexible online portal allows you to be as broad or as specific as you need when setting up your campaigns. You have access to real-time data and robust tools that allow you to optimize your campaigns and maximize results. Com.xyz gives publishers the all the tools they need to best monetize their traffic. Com.xyz hosts offers in a number of different verticals such as Personal Loans, Web Hosting and Small Business Loans. Because of our valuable publisher relationships, these advertisers have given Com.xyz exclusive offers that are unavailable anywhere else. Our platform was built with you in mind. 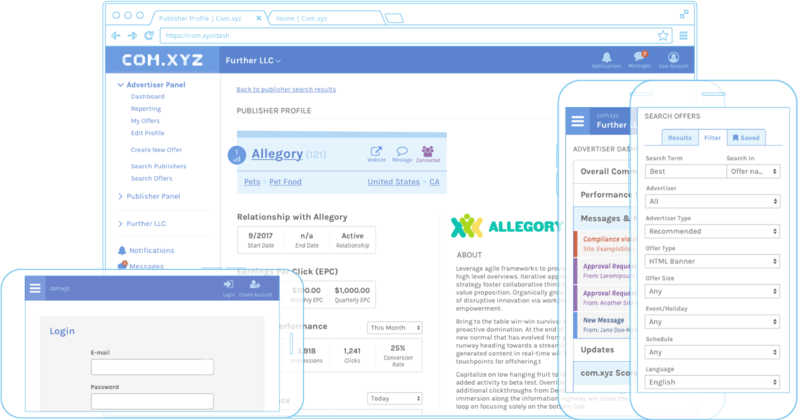 On Com.xyz you will find offer integrations of all types including API Posting, Embeddable Forms, Links, Compare Pages, Email Creatives, Display Creatives, depending on the vertical. 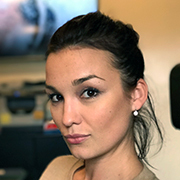 Our advertisers know that our platform is home to the best publishers available and are, therefore, uniquely flexible in terms of payouts. Our affiliate managers are available at your disposal to help find the best offers for you, create new campaigns, and make adjustments to your current campaigns. They’ve been trained to give our publishers the very best guidance to generate the strongest returns. Inside Com.xyz you’ll find an easy to use dashboard that will allow you to browse available offers, download creatives, and track results in real time. You will have all the data you can imagine and more at the tip of your fingers. Our software was developed to help publishers get the most out of the traffic they can deliver. Our in-house design team are masters in the art of conversion optimization. They have been integral in helping maximize the effectiveness of our available offers and are constantly testing to ensure they are always at their best.